My favourite childhood books were Ladybird books and Enid Blyton books of which I had many. 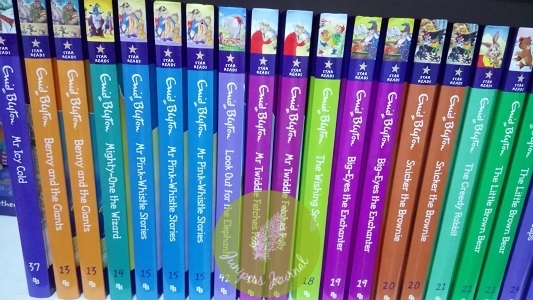 Browsing at Popular a few days ago, I noticed a lot of Enid Blyton books which I had never read when I was a kid but then again, I couldn’t possibly have read all of her books. I was surprised that her books are priced at RM19.90, that’s quite pricey when each book averages only 180 pages. I am sure that during my childhood, her books were priced at less than RM10 but that was decades ago. 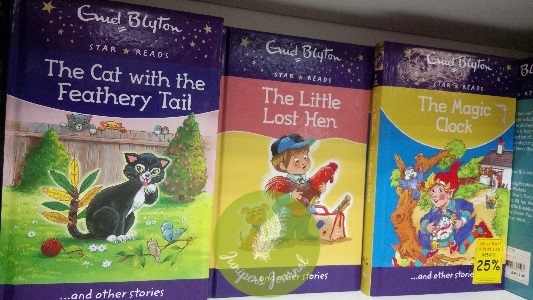 I didn’t see the Enid Blyton books I loved so much, i.e. Famous Five, Secret Seven, The Adventures Of The Wishing-Chair and The Faraway Tree. After reading The Adventures Of The Wishing-Chair which has the power to grow wings and fly them to magical lands, I imagined that I had a flying bed that could also fly me to magical realms where I would meet fairies and pixies. The other favourite series was The Faraway Tree. 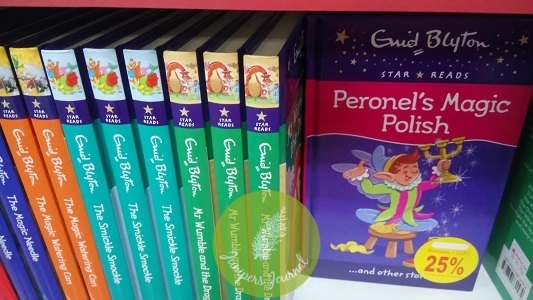 The titles in the series are The Enchanted Wood, The Magic Faraway Tree and Up The Faraway Tree. I enjoyed them all as it brought me to more magical lands. In the days where there were less distractions than today, Enid Blyton books were a gateway into all that was fascinating to a kid.